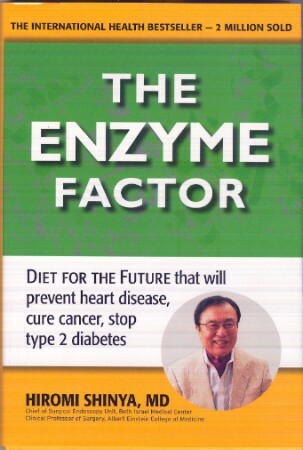 The best selling book by world reknowned Dr. Hiromi Shinya. Over 2 million copies of this book have been sold in Japan. NOW IN PAPERBACK- NEW LOWER PRICE This book could be ideal way for you to get instant credibility with doctors and other medical professionals. Dr Shinya is considered one of the foremost surgeons and gastroenterologists in the world. This book describes what he's learned during over 45 years in practice after personally performing over 300,000 procedures. Buy multiple copies, give them to your prospects, give one to everyone you sell a machine to.